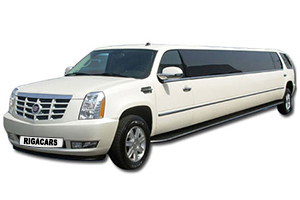 What can make the special moments of your life more memorable than the arrival or going away in a high class limousine? Having a wedding, a party, presentations or just a wish to indulge yourself? Why not! You definitely deserve it! Enjoy champagne while travelling around the most beautiful sightseeing places in Riga in one of our limousine class rental cars.